Kick off your visit on the 11th (Wed): soothe aching muscles at some of the top local wellness centers. On your second day here, see some colorful creatures with a scuba or snorkeling tour. Plan a trip to Cairns easily and quickly by telling Inspirock to suggest an itinerary. London, UK to Cairns is an approximately 23.5-hour flight. Traveling from London to Cairns, you'll lose 10 hours due to the time zone difference. Prepare for somewhat warmer weather when traveling from London in September: high temperatures in Cairns hover around 33°C and lows are around 22°C. Finish your sightseeing early on the 13th (Fri) to allow enough time to drive to Port Douglas. On the 14th (Sat), discover the deep blue sea with a scuba or snorkeling tour. Get ready for a full day of sightseeing on the 15th (Sun): get to know the resident critters at Wildlife Habitat Port Douglas, then identify plant and animal life at Hartley's Crocodile Adventures, and then make a trip to St Mary’s by The Sea chapel. To find where to stay, other places to visit, reviews, and tourist information, you can read our Port Douglas online trip builder . You can drive from Cairns to Port Douglas in 1.5 hours. Other options are to take a bus; or take a shuttle. In September, daytime highs in Port Douglas are 33°C, while nighttime lows are 22°C. Wrap up your sightseeing on the 15th (Sun) early enough to travel to Townsville. On the 16th (Mon), explore the galleries of Museum of Tropical Queensland, stroll through The Strand, and then don't miss a visit to Jezzine Barracks. Keep things going the next day: make a trip to Riverway, then identify plant and animal life at Billabong Sanctuary, and then go for a walk through Castle Hill. To see more things to do, reviews, photos, and other tourist information, read Townsville trip planning app . Traveling by combination of shuttle and flight from Port Douglas to Townsville takes 4.5 hours. Alternatively, you can drive; or do a combination of shuttle and bus. Expect a daytime high around 32°C in September, and nighttime lows around 21°C. Wrap up your sightseeing on the 17th (Tue) early enough to take a bus to Airlie Beach. On the 18th (Wed), take a tour by water with Boat Tours & Water Sports. On the 19th (Thu), you'll have a packed day of sightseeing: get a new perspective on things with Boat Tours & Water Sports. To find ratings, photos, and other tourist information, read our Airlie Beach online tour itinerary planner . Traveling by bus from Townsville to Airlie Beach takes 4 hours. Alternatively, you can drive; or do a combination of train and bus. While traveling from Townsville, expect a bit cooler days and about the same nights in Airlie Beach, ranging from highs of 29°C to lows of 23°C. Wrap up your sightseeing on the 19th (Thu) to allow time to take a bus to Whitsunday Island. Kick off your visit on the 20th (Fri): contemplate the waterfront views at Hill Inlet and then enjoy the sand and surf at Whitehaven Beach. On the 21st (Sat), you'll have a packed day of sightseeing: step off the mainland to explore Whitsunday Islands National Park. 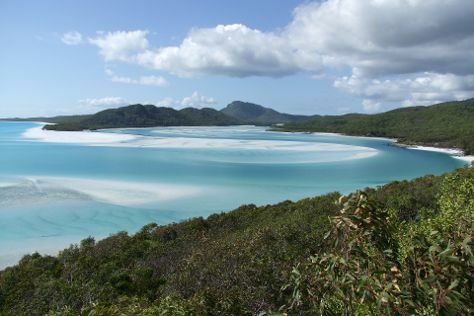 To see where to stay, ratings, photos, and tourist information, read Whitsunday Island tour planning tool . Getting from Airlie Beach to Whitsunday Island by bus takes about an hour. Other options: ride a ferry. Plan for a bit cooler nights when traveling from Airlie Beach in September since evenings lows in Whitsunday Island dip to 17°C. 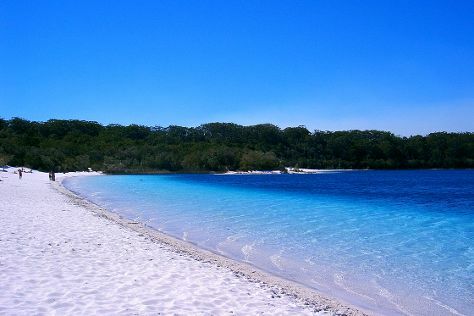 Finish up your sightseeing early on the 21st (Sat) so you can travel to Fraser Island. On the 22nd (Sun), enjoy the sand and surf at Seventy-Five Mile Beach and then explore and take pictures at Maheno Wreck. Here are some ideas for day two: take a peaceful walk through Central Station Rainforest and then contemplate the waterfront views at Lake McKenzie. For reviews, traveler tips, where to stay, and tourist information, read Fraser Island trip builder website . You can do a combination of flight, ferry, and car from Whitsunday Island to Fraser Island in 10.5 hours. Other options are to do a combination of train, ferry, and car; or do a combination of bus, ferry, and car. Cap off your sightseeing on the 23rd (Mon) early enough to travel to Wisemans Ferry. Kick off your visit on the 24th (Tue): trek along Convict Trail, explore and take pictures at Watkins Orchard, and then get great views at Hawkins Lookout. For ratings, maps, photos, and other tourist information, use the Wisemans Ferry vacation website . Use the Route module to find suitable travel options from Fraser Island to Wisemans Ferry. In September, daytime highs in Wisemans Ferry are 26°C, while nighttime lows are 9°C. Finish your sightseeing early on the 24th (Tue) to allow enough time to travel to Pokolbin. Start off your visit on the 25th (Wed): learn about winemaking at Leogate Estate Wines, take in nature's colorful creations at Hunter Valley Gardens, then learn about winemaking at Audrey Wilkinson Vineyard, then do a tasting at Scarborough Wine Co, and finally do a tasting at Glandore Estate Wines. Get ready for a full day of sightseeing on the next day: learn about winemaking at Ivanhoe Wines, learn about winemaking at Peterson House, then meet the residents at Hunter Valley Zoo, then do a tasting at Ernest Hill Wines, and finally learn about winemaking at First Creek Wines & Winemaking Services. To find more things to do, ratings, and more tourist information, you can read our Pokolbin trip planner. Drive from Wisemans Ferry to Pokolbin in 2.5 hours. September in Pokolbin sees daily highs of 26°C and lows of 10°C at night. Finish up your sightseeing early on the 26th (Thu) so you can go by car to Leura. Leura is a suburb in the City of Blue Mountains local government area that is located west of the Sydney central business district in New South Wales, Australia. Kick off your visit on the 27th (Fri): take in nature's colorful creations at Everglades Historic House and Gardens, take in the dramatic scenery at Wentworth Falls, appreciate the extensive heritage of The National Pass, then get great views at Govetts Leap, and finally make a trip to Echo Point Lookout. On the 28th (Sat), you'll have a packed day of sightseeing: tour the pleasant surroundings at The Giant Stairway, skim along the rocks with a canyoning and rapelling tour, and then admire all the interesting features of Lincoln's Rock. To find where to stay, reviews, and more tourist information, read Leura road trip planner. You can drive from Pokolbin to Leura in 3.5 hours. Other options are to do a combination of taxi and train; or do a combination of bus and train. In September, daily temperatures in Leura can reach 26°C, while at night they dip to 9°C. Finish your sightseeing early on the 28th (Sat) so you can drive to Sydney. Sydney is known for nightlife, trails, beaches, parks, and museums. 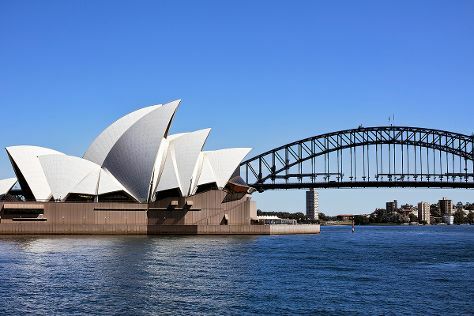 Your plan includes some of its best attractions: catch a live performance at Sydney Opera House, enjoy the sand and surf at Manly Beach, admire the masterpieces at Art Gallery of New South Wales, and tour the pleasant surroundings at Bondi Beach. For ratings, reviews, maps, and more tourist information, you can read our Sydney trip itinerary builder . Getting from Leura to Sydney by car takes about 1.5 hours. Other options: take a train; or do a combination of train and bus. Plan for a bit warmer nights when traveling from Leura in September since evenings lows in Sydney dip to 14°C. Finish your sightseeing early on the 1st (Tue) to allow enough time to travel back home.